Lumber River State Park Print 8.5" x 12"
Home > Prints and photos > Lumber River State Park Print 8.5" x 12"
The North Carolina state parks system, in partnership with distinguished North Carolina artist Robert Johnson, has introduced the NC State Parks Nature Journal Series of collectible prints. 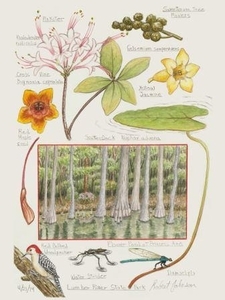 Reminiscent of field guides, Johnson’s watercolor works document North Carolina’s natural areas and inspire conservation and stewardship, while fostering a love and appreciation for the natural environment. Each year Robert will visit other state parks to complete the series. Check back with us frequently for new prints. 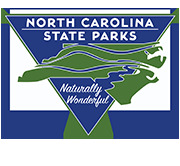 All proceeds from the sales of these prints benefit NC State Parks.